… the birdmen cometh: Radio Birdman descent into Hamburg! Radio Birdman is one those hidden gems where you just wonder why the never broke big (either as in really big or at least on the outskirts of the punk circuit). Founded down under late in 1974 they nurtured a DIY ethos and a mu-sick-al style that had all the ingredients to spur punk (as much as the Saints). Even being taken on by Sire and being put on a bill with the Ramones for a US tour in 1978 did not help – the band broke down prior to that in the UK after recording their 2nd album (that only ever came out in 1981 when the band did not exist anymore). But besides of all those oddities it is the unpretentious beauty of the songs that gained them almost cult status with mu-sick-al connoisseurs all over the world. 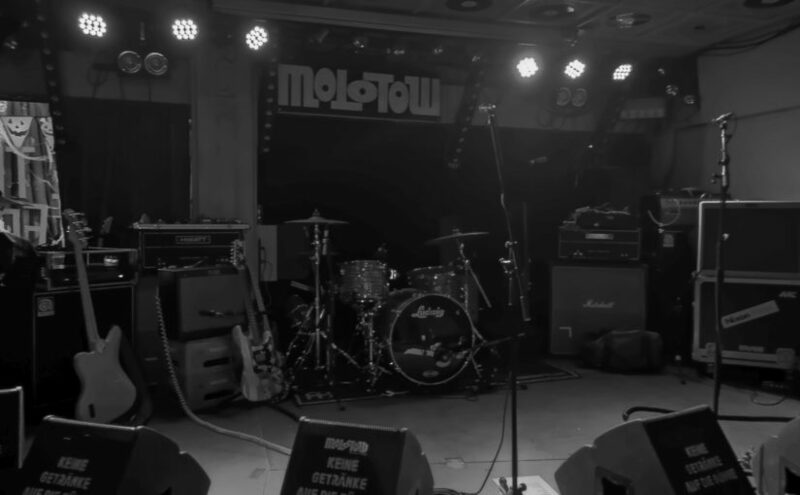 The Hamburg ones (predominantly of age and male) crowded the Molotow and the show was sold out. Anything less would have been an offense anyway. First on Nixon Now, fronted by the landlord of the Molotow and having sure thing a home game (and a home win at own discretion i guess). They have been around now also for almost 20 years and their style never changed: You get a good dose of Detroit Street Rock – some say Stooges some say MC5. For me they are more outside of my regular sounds – they where class when the two guitar managed to play something like a duel (or challenge / response) and the where near unbearable when the main guitar started wanking and fuzzing. Too much solo-metal for me. With a swift and efficient changeover by the denim clad Birdman crew the now packed Molotow eagerly awaited them Birdman. First sign was shutdown of background music (a classic rock thingy to spur noise in the crowd) and a singular light style (all red). And with loads of cheers the Birdman took the stage and stormed into the first songs. At the beginning not all perfect but with energy and an relentless front man (with moves from another time). Actually the way Rob Younger moves behind the mike has a lot of similarity to another old fellow – i was reminded of Leonard from The Dickies! In the first half of the show everything was flooded in red and everything felt to me somehow … something … can’t name it really but something felt wrong. I don’t remember when the lightning changed to all blue but lets say it was halftime. And with that change Radio Birdman came tighter and even harder (at least to me). Now we where in the territory that got people exited, a lot of movement came into the crow and even some sing-a-long. This worked neat but i think with the same little trick that many bands use nowadays: All songs got a little bit of kicking and speed. And when finishing up they thanked the audience for comming out and put a stick of love for Hamburg into the ground too – playing a sold out show, getting some crowd movements and all of that finished at 22:30 seemed to have given them comfort. At the end i was happy like many others around me. It was good entertainment though slightly outside my music comfort zone. But without constantly testing those boundaries i bet ya i would loose interest in the 2nd best thing in the world: Live music done on small stages. Note: The best thing on earth damn well knows that she is the best damn thing on earth! 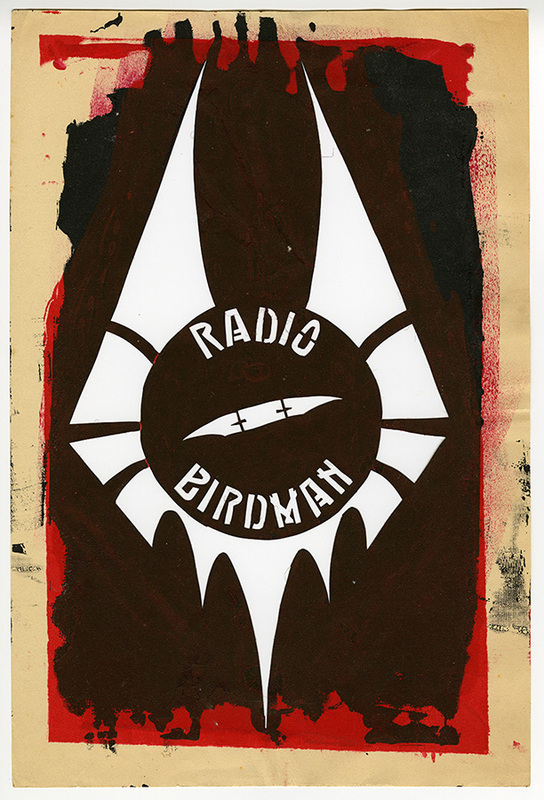 PS: And for those who love Radio Birdman this movie is a definite must … and don’t forget to score the exclusive directors box! Format KurzmitteilungVeröffentlicht am 2018/10/23 2018/10/24 Kategorien ShowsSchlagwörter Moltow, Nixon Now, Radio BirdmanSchreibe einen Kommentar zu … the birdmen cometh: Radio Birdman descent into Hamburg!